Was I the only one whose download triggered their AV software? what u doing??? don't you test??!! Only two reports, and those are from sketchy AV's. Install on your own risk, but haven't put anything weird in Fanaleds. "sketchy AV's. Install on your own risk"
I was refering to the 2 false positives on virustotal. All other AV's say it's fine. 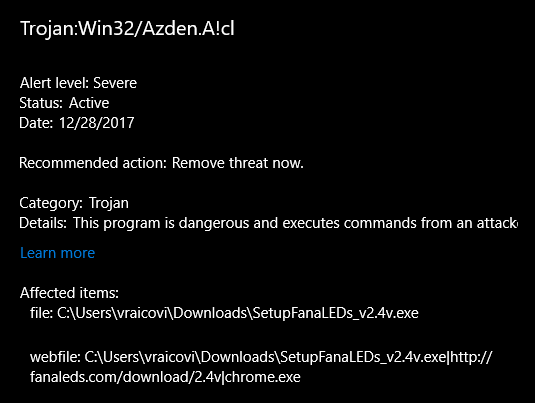 The previous updates also had this false positive report in Windows. Defender is also an AV, but built-in. Like I said, you don't have to install it if you don't trust it. Are there any specifics on the CSL elite fixes? Nice job sorting out the fix for F1 2017 Bose..Have a good new year bud.